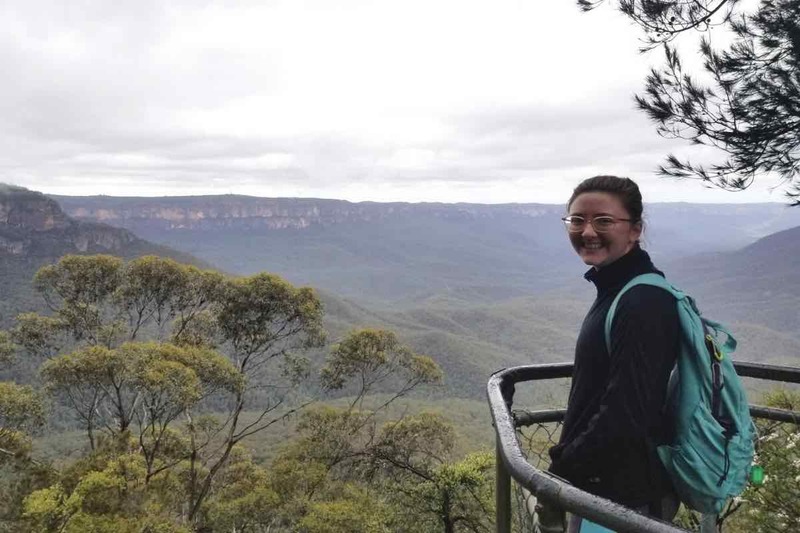 When I began interviewing host families for my Au Pair program, I knew very little about Australia apart from some vague ideas about adventurous souls and big spiders. 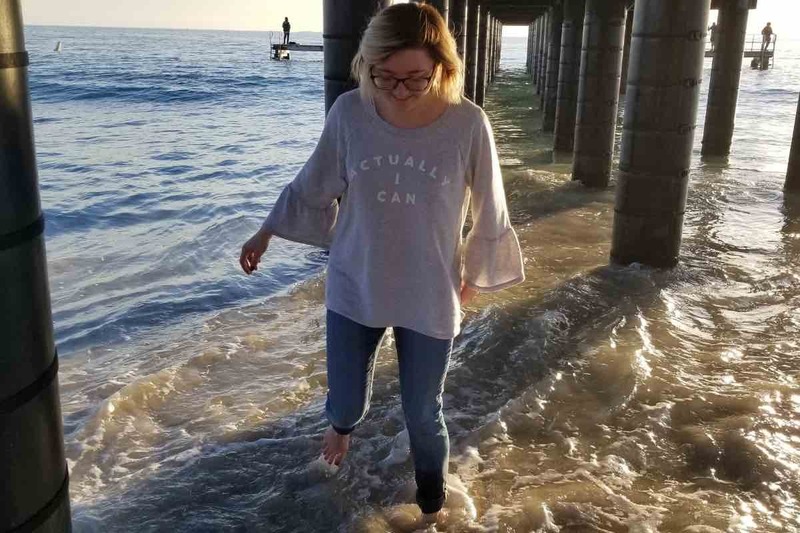 After hearing about various parts of the country from potential families, I knew I wanted to spend a full year in Australia experiencing two different cities, and ultimately, one on the east coast and one on the west. That way, I could see what life was like in more than one place. After all, you wouldn’t get the full picture of the U.S. by only visiting New York! Luckily, InterExchange matched me with a family near Perth and one in Sydney. My first, six-month au pair placement was near Perth in Western Australia. I came to think of it as the “Southern California” of Australia given its climate, laidback attitude, and variety of activities. Perth itself is a smaller city with a couple of rivers running through it. It’s fairly easy to navigate, though I had a lot of help from other people and GPS! Fun areas to hang out in Perth include Fremantle, with its weekend markets, and Northbridge, which has a lot of nightlife. 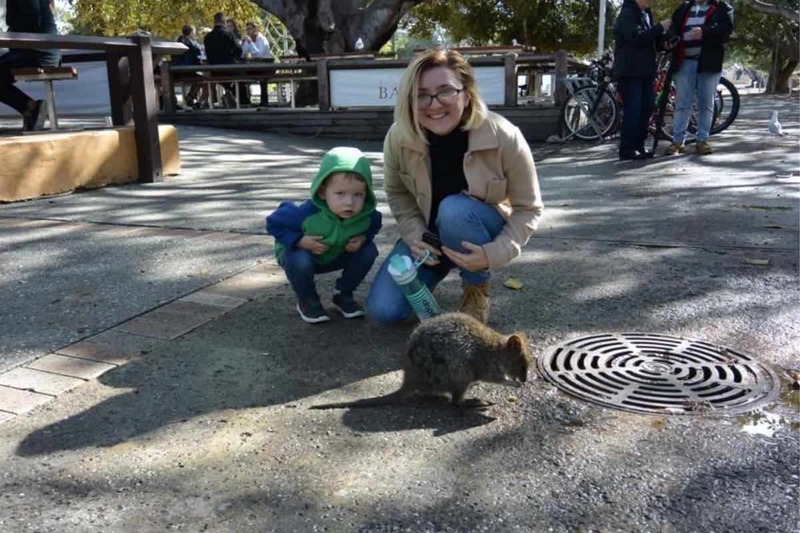 Rottnest Island is also cool—you can see quokkas (a marsupial animal about the size of a cat)! 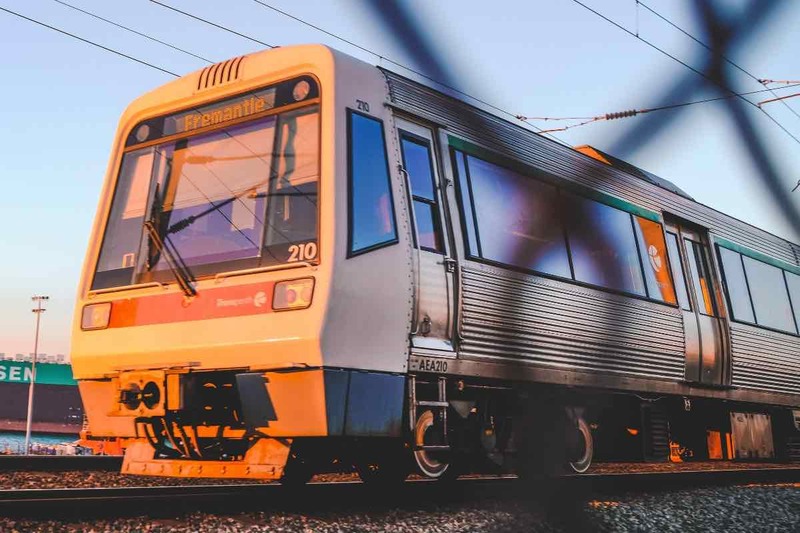 Public transportation consists mainly of trains, which are helpful in getting from one side of the city to the other; however, if you live beyond the outer suburbs, access to a car is a plus. I lived in the gold-mining town Boddington, which is about two hours outside of Perth. It was small enough that many Aussies I met hadn’t even heard of it! My host family, which consisted of mum, dad, and two boys aged eight and two, had only lived there for about a year after the parents’ jobs transferred them from Queensland (on the east coast of Australia). They were great resources for me, and now and then I tagged along as they explored something new to them in the area. They had a very familial, community-minded attitude and were involved in things going on in town and with the other families. Au pairing in such a small town was definitely a unique experience, but not unlike what you might expect from being in any small town in the U.S. On a typical day, I’d walk the older boy to school, then the younger one and I would either go home to play, or go into town for various activities, such as storytime at the library, a playgroup, or swim lessons. Due to the size of the community, I often saw the same kids and parents every week and got to know them a bit. Most people in Boddington were very welcoming and used to having au pairs from all over the world. There were a handful of us there at the same time, which was nice. Since we couldn’t really go anywhere in the evenings—there wasn’t much nightlife in town and driving to Perth on a weeknight was too far—we’d often hang out at one of our houses. If they also looked after a toddler-aged kid, we’d meet for playdates during the day. It was neat for me because the other girls were European, so I got to learn about their cultures and see how they were faring in a new country and practicing their English. Despite having this small group of fellow au pairs in town, when the initial excitement of being somewhere new wore off, I began to feel a lack of peers to spend time with. Fortunately, my host family let me use their car, so I’d drive to Perth on weekends to explore, and eventually found a church with a young adult group where I made friends. They were Aussie, so they showed me all the area had to offer. 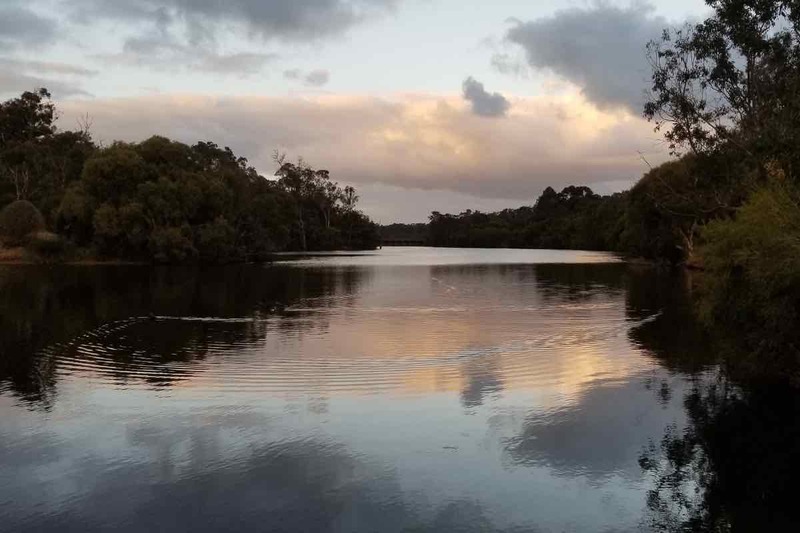 We went bushwalking (hiking), visited the beach, ate at popular restaurants, and hung out in the city. I also took them swing dancing once, which is something I do all the time in America—they were so kind to try it to make me feel welcome! The best things about Perth were its friendly people and beautiful landscapes. However, it’s known for being one of the most isolated cities in the world, and I began to feel that more the longer I stayed. By the end of my six-month placement, I was ready for something different. My second au pair placement was in Bondi, a suburb of Sydney, New South Wales. I was a 20-minute walk from the beach (a few different beaches, actually) in one direction and a 20-minute walk from the city in another—which I loved! Sydney is a huge city, much like New York or Los Angeles. Even though I lived in one of the best locations, I still didn’t see everything there is to see. 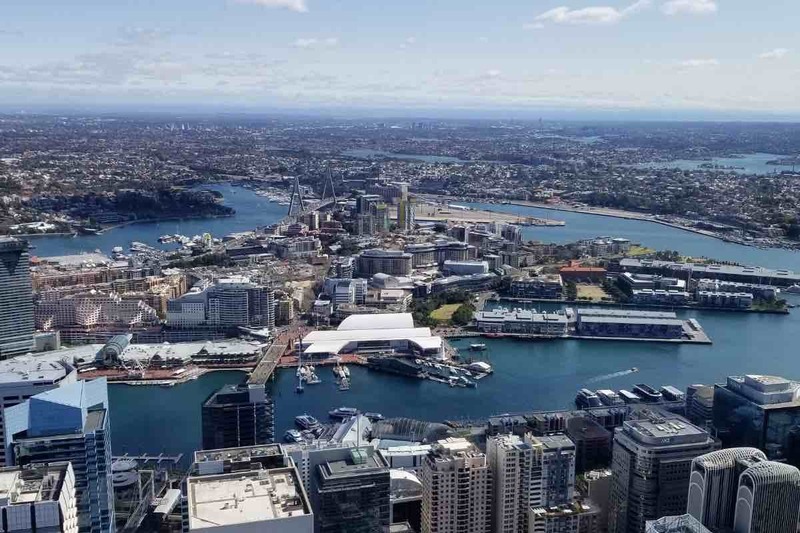 Sydney is made up of suburbs and each have their own flair, so it’s typical to make a day of exploring one area—maybe stopping for coffee, poking in and out of shops, and visiting a particular tourist attraction. 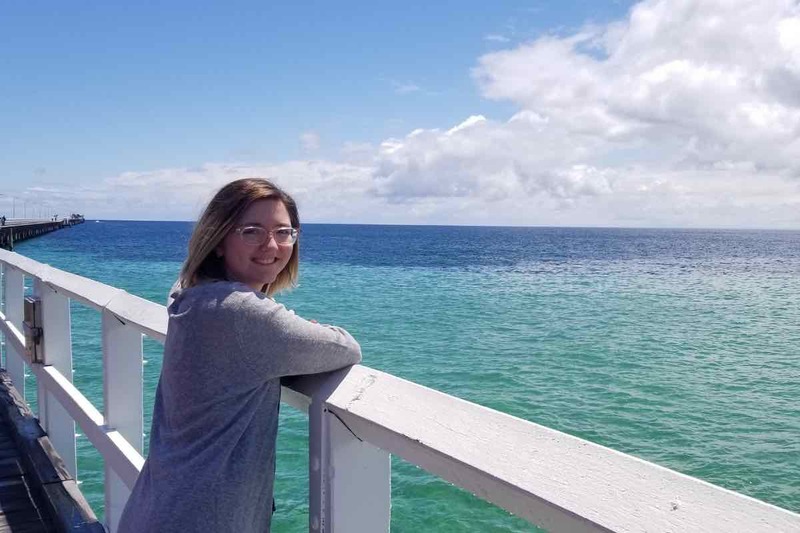 Aside from the well-known Sydney Harbor, there are lots of beaches and harbor-like spots across the city with so much to do. I had access to a car, but most of the time I got around by walking or by the user-friendly public transport system of buses, trains, and ferries. The transport system in Sydney uses something called an Opal card. You can buy one at the train station or at a news stand for a minimum of $10 (that amount is then available on your card). The Opal app will tell you routes, times, and prices. You can also use the app to top-off your card. A one-way trip usually cost me $2-6 dollars, depending on how far I went. My Bondi host family was made up of mum, dad, a newborn boy, and an eight-year-old girl. My job was primarily with the baby, who grew from five to 11 months during my time there. It was so fun watching him go from “tummy time” (helping him roll over) when I first arrived, to watching him learn to walk in the few weeks before I left. His mum worked from home, so I had a lot of time to chat with her and see behind the scenes of her business. Once the host parents grew more comfortable with me, my host mom would often spend the day out running errands or working elsewhere. Milk Beach with the "bub"
A typical day with the baby (or “bub,” as they say in Australia) was scheduled around his eating and naps, and included indoor and outdoor playtime, going for walks with the pram (“carriage”), changing lots of diapers, and watching The Wiggles—the only thing that would calm him down when he was cranky. I’d also occasionally babysit him and his older sister in the evenings if the parents went out, which was a more common occurrence in Bondi than Boddington since we lived in the city. I made good friends in Sydney, too, but rather than a group of Aussies to show me around, they were mostly people from around the world who were willing to be a tourist with me since everything was also new to them, too. One of my favorite things about Sydney is how multicultural it is. 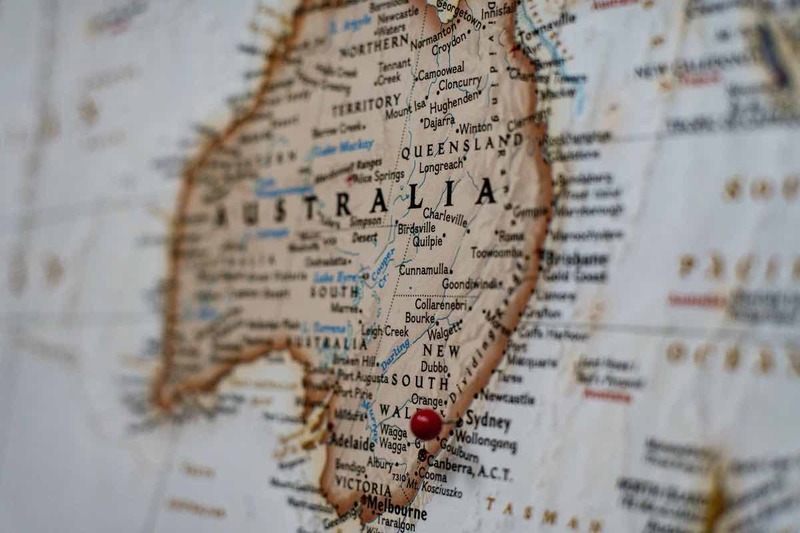 Yes, it still has its Australian cultural roots, but so many people flock there from all over, so you get to see world cultures meet and mesh as they experience that Aussie culture. 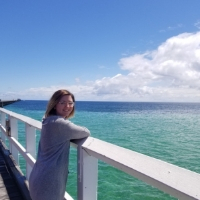 In my free time I spent a lot of time at the beach, either going for a run (fitness is very popular in Bondi), walking the coastal paths, checking out shops, or just hanging with friends. 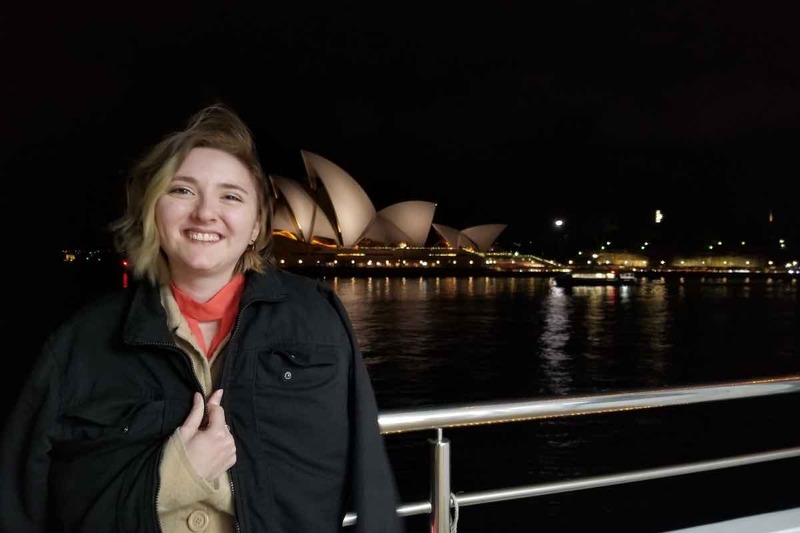 I also tried as many cafes as I could, visited the Blue Mountains, took the ferry to Manly (a beachside suburb of northern Sydney), went on a dinner cruise around the Sydney Opera House and Harbor Bridge, and even saw an Australian Ballet performance at the Opera House. There are so many things to do and tourist attractions in Sydney. I loved how convenient and exciting that was. As an au pair, though, you work all day, and sometimes you need an early night to relax and decompress. I’d feel guilty when someone asked about my weekend plans and I didn’t have any yet. 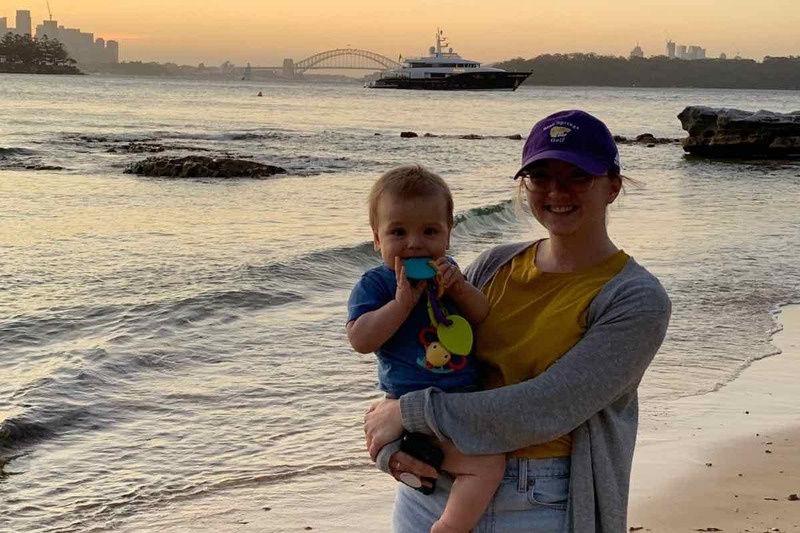 In a large city like Sydney, I was presented with the opposite problem from living in a small town: rather than having a lack of things to do, I was overwhelmed by the endless options and often felt pressured to always be doing something. But I often reminded myself, in Perth as well, there would always be more to see and do than I could get to. Part of the beauty, though, of traveling to another country by living there for awhile is you don’t have to take it all by storm in a few days or weeks. I’m so thankful for the 12 months I had in Australia, as it let me take my time to explore the country. I’m also grateful for the opportunity to have lived in two different cities on opposite coasts. Like anything you do, balance is key. Getting to live on each side of the country allowed me to have a balanced—and wonderful—experience of Australia. 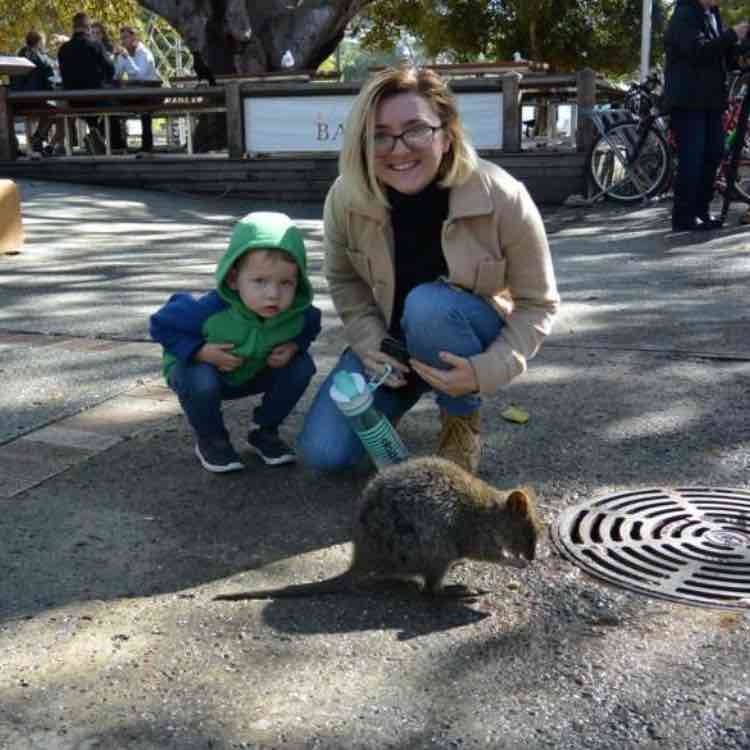 Jill participated on InterExchange's Au Pair Australia program.